Ask for a challenge form at the Library or download it here. Read one book from each of the 3 categories below. Turn in the form at the Library before May 31, 2019 to be entered in a prize drawing. 1. Read a book about a character who doesn't look or live like you. 2. Read a book about a topic you don't know much about. 3. Read a book in a format you don't normally read for fun. or from Mrs Shupe at Illini West. This year’s final list consists of 30 titles selected from 108 nominations. The Quick Picks for Reluctant Readers list identifies titles aimed at encouraging reading among teens who dislike to read for any reason. 2019-20 reading lists are posted on the websites. We will be purchasing the books, but until we do, we are happy to borrow them from other libraries. Also many of the titles are available as downloadable ebooks or audio books from the eReadIllinois site with the axis 360 app. For your convenience, we will create folders with the available books. When logging into the eReadIllinois site from your computer, select "Statewide Reading Lists" from the top Menu bar. Then each of the 4 programs will be listed on the left side. Unfortunately these lists are not visible on the mobile app. Some titles are also available to download from our ADML site with the Overdrive app. Each program involves a list of book, chosen each year by the statewide committee. Carthage Public Library registers for all three programs, and purchases and displays the books. The Rebecca Caudill Program and Abraham Lincoln Program are sponsored by the Illinois School Library Media Association (ISLMA). They are both Readers' Choice programs, which means that students who read the required number of books (3) by the end of February, are eligible to vote for their favorite. The Library submits the Carthage votes to the State. The Read for a Lifetime program is sponsored by the Illinois State Library, and does not involve voting. The State Library provides certificates for participants who read 4 books by the end of March. There is special recognition for students who participate in the program all four years of high school. The Library awards small prizes (such as food coupons) to participants of all 3 programs. Carthage Middle School teachers help promote the Rebecca Caudill program, and voting usually takes place at the Middle School. Home Schooled students should request a ballot at the Library in February. CMS also holds a Battle of the Book Contest each year. Teams compete against each other to answer questions about the books on the list. High School students may participate in either the Abraham Lincoln program or the Read for a Lifetime program, or both. Students should turn in their reading lists to the Library to vote in the Abraham Lincoln program and to receive their prizes or certificates. The Abraham Lincoln program has a special recognition for the Double Deuces, students who read all 22 books on the list. Links to recommended websites for kids & parents. ​There is also a reference desk section. elementary school through college level. Ben's Guide to the U.S. Government, from the Government Printing Office, provides information about the U.S. government, a "Place the States" game, and printable activities. 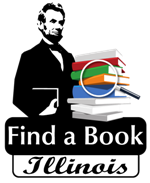 Find a Book Illinois (http://www.lexile.com/fab/Illinois) helps you find books that fit your interests and reading level. Type in your lexile score or grade level information and interests. As you browse the lists of books there is an option to "Find it in a Library" to see if it's available at the Carthage Public Library. Please remember that if we don't own a book, we can usually borrow it for you from another library. Disclaimer: The Carthage Public Library is not responsible for the content or accuracy of any of the websites listed. Although the Library has made an effort to screen the websites , it is not possible to explore them completely. In addition, Internet websites, links, and content are constantly changing. Parents are urged to preview all sites and to closely supervise and monitor their child's Internet usage. Be sure to read all privacy policies. Some of the sites may contain ads. ​Inclusion on this resource list is not an endorsement of the site, the company, or its advertisers. ​We received 67 entries in our 2019 Bookmark Design Contest. Thank you, to all of our participants! Winning Bookmarks are shown below. We received 44 entries from 6th Grade, so in addition to the 2 winners, we selected 8 for Honorable Mention.